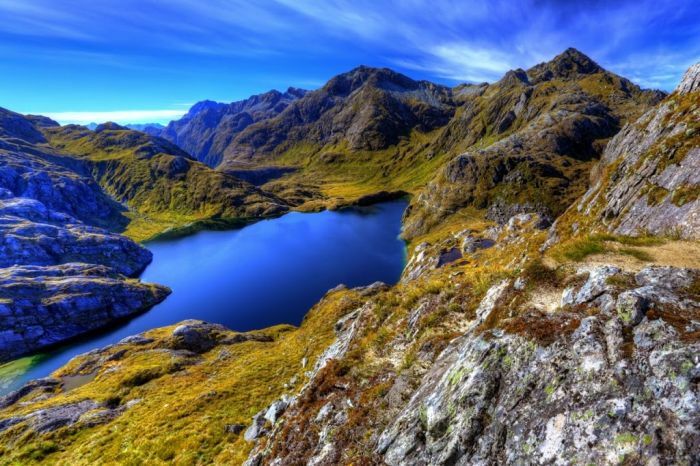 It’s no secret that us Brits have a soft spot for New Zealand and that’s completely understandable. It feels safe, familiar and we seem to feel at home instantly when visiting. There’s less people (more sheep), incredibly rugged landscapes and unforgettable views that are out of this world. In terms of nature, it’s practically unbeatable. 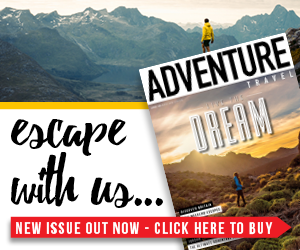 Luckily for us outdoors types, there’s also plenty of adventurous activities to get involved with. Here’s 10 of the best. 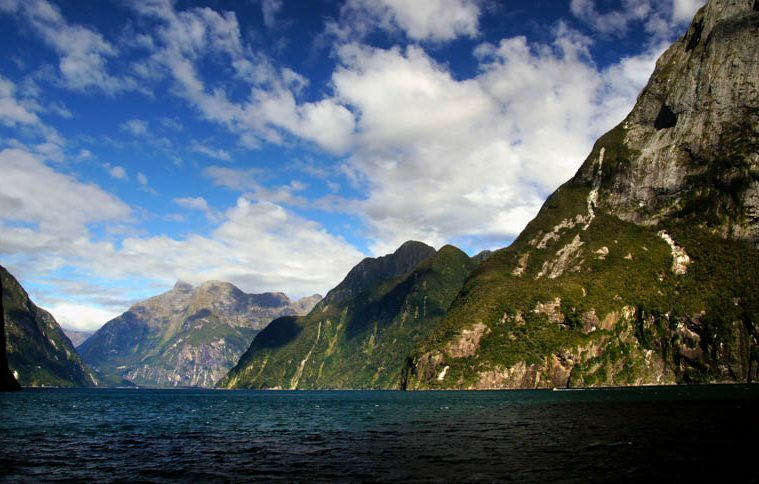 Featuring on most people’s bucket list, Milford Sound is one of those places that leaves people in awe. 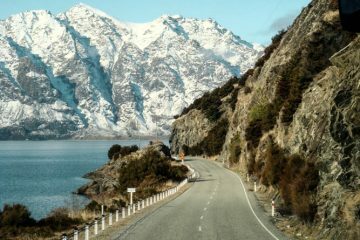 It’s one of the most beautiful places in New Zealand and if you’re lucky enough you can even spot seals and penguins! Due to safety issues, tours no longer walk onto Fox Glacier from the valley floor which means you’ll be flown onto the glacier by helicopter –an amazing experience in itself. 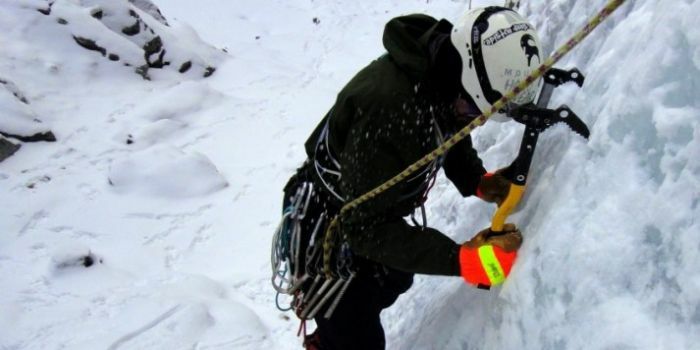 With technical gear such as crampons and ice axes, you can spend the day learning the ropes of one of the most awesome activities out there, ice climbing. 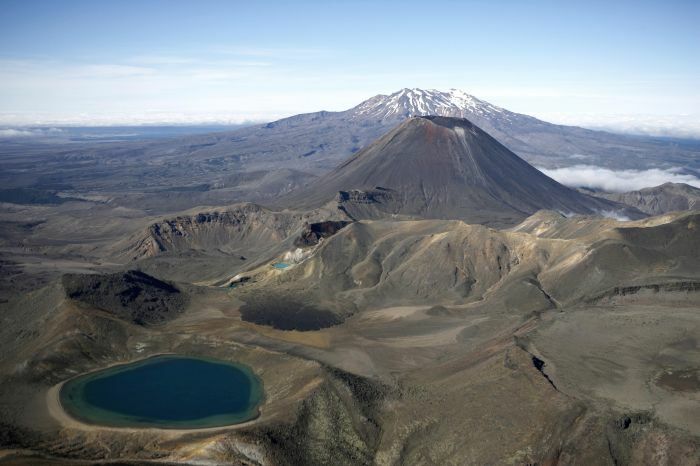 Considered the best one day hike in the country, this 12-mile hike travels through a range of environments as it skirts past the active Mount Ngauruhoe (Mt Doom from Lord of the Rings). 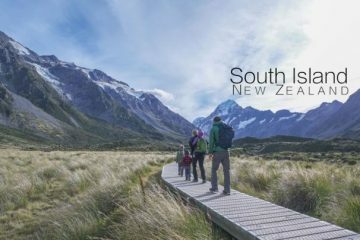 Raw, beautiful and thoroughly rewarding, this is a standout memory from most people’s Kiwi adventure. 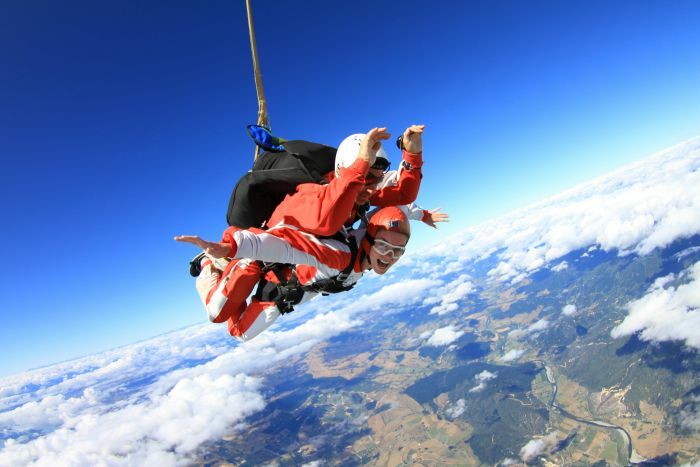 If jumping out of a plane from several miles in the air sounds like your idea of fun then you’ve definitely come to the right place. It’s cheaper here than in the UK and there are so many amazing locations to choose from. Skydiving in Abel Tasman gives you breathtaking views of forests, beaches and sea while on clear days you can even see the North Island. Lake Taupo is another outrageously beautiful location for this. There are many places you can kayak in New Zealand but Abel Tasman is definitely up there with the best. Join a tour or rent a kayak on your own and explore the incredible coastline. The lucky ones among you will be able to spy seals and the rare blue penguin. 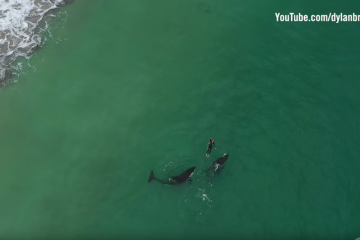 They’ve even be known to swim under your kayak and in rare cases – jump on board! Many people dream of swimming with dolphins, but it’s an experience that usually takes place in controlled environments with dolphins that are held in captivity. In Kaikora, you’ll head out to sea early in the morning and swim with free dolphins in their own environment. Typically you will jump in the water with a pod of hundreds making it a truly unforgettable experience. 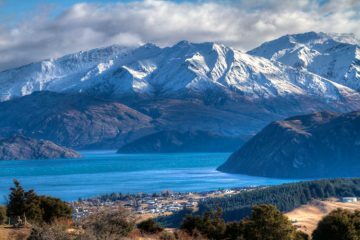 Just outside of Queenstown, the famous Remarkables mountain range has one of the best ski fields in the country and offers a true alpine mountain experience. 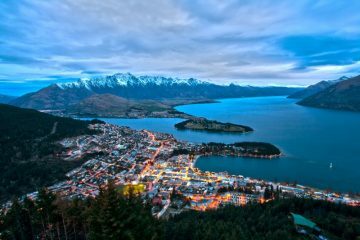 There’s terrain to suit all abilities, from first timers to seasoned, expert skiers and snowboarders and the vibrant Queenstown is only down the road for when you want some nocturnal fun. 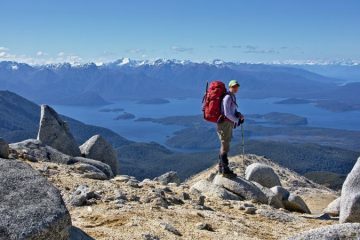 This 20-mile, multiday hike takes you through spectacular mountain landscapes with beautiful views of ice-carved valleys, forests and pristine blue alpine lakes. You’ll pass rugged mountains capped with ice and snow in an experience that will leave you grinning with pride. There are several awesome places to give white water rafting a go in New Zealand but this place is known to be one of the best. 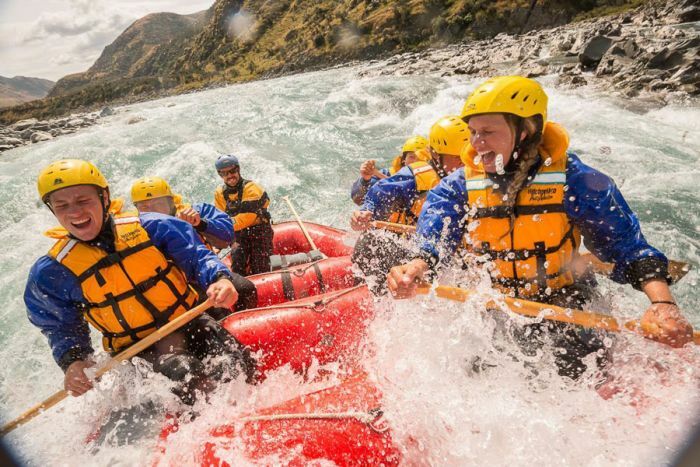 Travelling through Rangitata Gorge, the option is there to take on rapids that go up to a grade five and it’s certainly an adrenaline-pumping, worthwhile experience. If you want to get airborne but skydiving is perhaps a bit too gung-ho for you, paragliding is well worth a go. Launching from the side of a mountain, it doesn’t have as much high-altitude exhilaration, but it does give you the most amazing feeling. 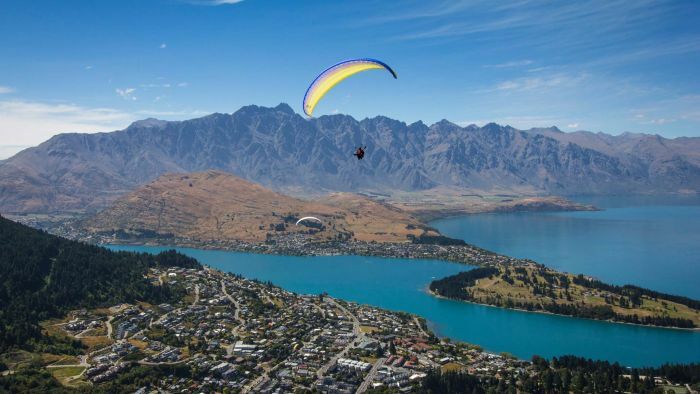 Queenstown is a beautiful place and there’s no better way to see it than from the air.